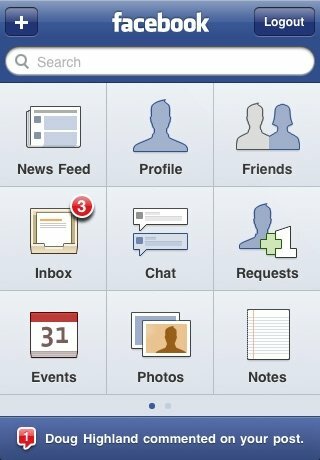 Yesterday, Doug wrote about the Facebook 3.0 update and all the cool new features that it is going to have. Well, it seems the developer is still hard at work and if those new features weren’t enough, he has also integrated video upload ability into the 3.0 update. 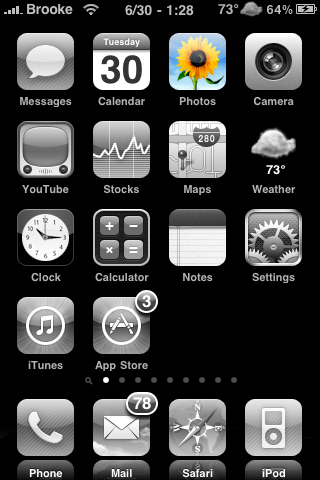 I have a feeling he has made a lot of iPhone 3GS users happy with the new feature. He also said, “Nothing like a few bazillion emails, tweets, and blog comments to motivate you to sneak in a few extra features at the last minute.” We don’t know what the “few extra features” are but, so far, he is off to a great start! Keep up the good work! New Poll – Did you upgrade to firmware 3.0? Time for a new poll. The last poll was – Will you purchase the iPhone 3GS? Below are the results. Below is the basic information about how jailbreaking and unlocking will work on the 3.0 firmware for the 1st gen iPhone, the iPhone 3G and the iPhone 3GS. 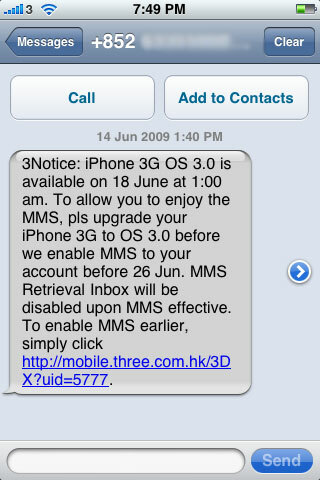 A few websites are reporting this morning that Hong Kong sent a network-wide SMS notifying iPhone owners that OS 3.0 will be available on June 18th, 01:00 local time. That puts it at 10:00am Pacific, 12:00pm Central, 1:00pm Eastern. For other time zones, see this link.